True and genuine biblical Christianity is not a religion but rather a close and personal relationship with Jesus Christ as Lord and Savior. There are many religious people out there that think they have to add to the grace of God by their works. They are trying to please God by their works. The problem with all religions is that man is trying to reach God on their own merits. Christianity teaches the opposite, God has reached down to man. The religious people are trying desperately to please God with their righteous works and deeds. It is not the righteousness of man who God accepts, it is the righteousness of Christ which is imputed by God to every genuine believer. True Christians do not stand on their own righteousness, they stand on the righteousness which is in Christ. Our own righteousness are filthy rags before God. “But we are all like an unclean thing, And all our righteousnesses are like filthy rags; We all fade as a leaf, And our iniquities, like the wind, Have taken us away.” Isaiah 64:6. Salvation is believing in Christ alone, not any church, denomination etc. Jesus had to deal with religious people in His days i.e. the Pharisees and the Sadducees. The Pharisees were the conservatives and the Sadducess were the liberals of the day. They were doing all the outward religious practices, the looked and acted holy and people thought of them as the most spiritual people. Jesus confronted them on many occasions about their religious behaviors and teachings. The religious people thought that they obeyed the law of Moses perfectly. They thought that they have kept the Ten commandments perfectly. Jesus showed them otherwise. Here is what Jesus said concerning adultery:“You have heard that it was said to those of old, ‘You shall not commit adultery.’ “But I say to you that whoever looks at a woman to lust for her has already committed adultery with her in his heart.” Mat 5:27, 28. Clearly Jesus showed His authority over the law when He said, “but I say to you.” He raised the law up a notch, showing them that it was not the letter, but that the law was written upon every man’s heart. It was a matter of the heart, the law was a school master to drive man back to God. Jesus also said: “But those things which proceed out of the mouth come from the heart, and they defile a man. “For out of the heart proceed evil thoughts, murders, adulteries, fornications, thefts, false witness, blasphemies. “These are the things which defile a man, but to eat with unwashed hands does not defile a man.” Mat 15:18-20. Personally, I don’t care how religious or good some may think they are, or how spiritual, if the heart is not right, nothing else matters. How does God view man’s heart? “The heart is deceitful above all things, and desperately wicked; who can know it? I, the LORD, search the heart, I test the mind, even to give every man according to his ways, according to the fruit of his doings.” Jeremiah17:9, 10. People that are portraying themselves as more spiritual or claim to have more knowledge, often border on self-righteousness. 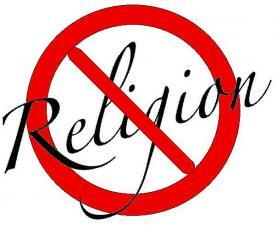 The bottom line is that religion, certain rituals, church membership, titles, affiliations or head knowledge that will and cannot save a person. Salvation is in Christ alone through faith. Genuine faith is demonstrated in good works, bearing fruit, we are not saved by working for our salvation. Salvation is a true gift of God and the person that believes and has received Jesus Christ as their Lord and Savior is justified before God. Thank you, have a awesome day in the Lord. Looks like you’ve got another winner, here! Great blog. Thanks Jenni for your kind words. Thank you, Freddy, for your faithfulness!